Drummonds recommended us to these delightful clients in Kew. 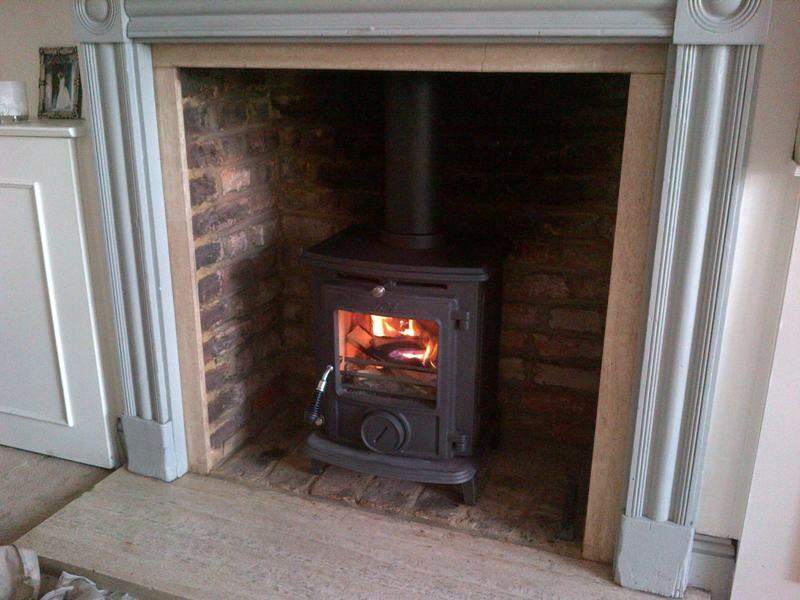 The clients had asked Drummonds, who were about to lay down a stunning wooden floor for them, if they knew a company who could install a stove for them. 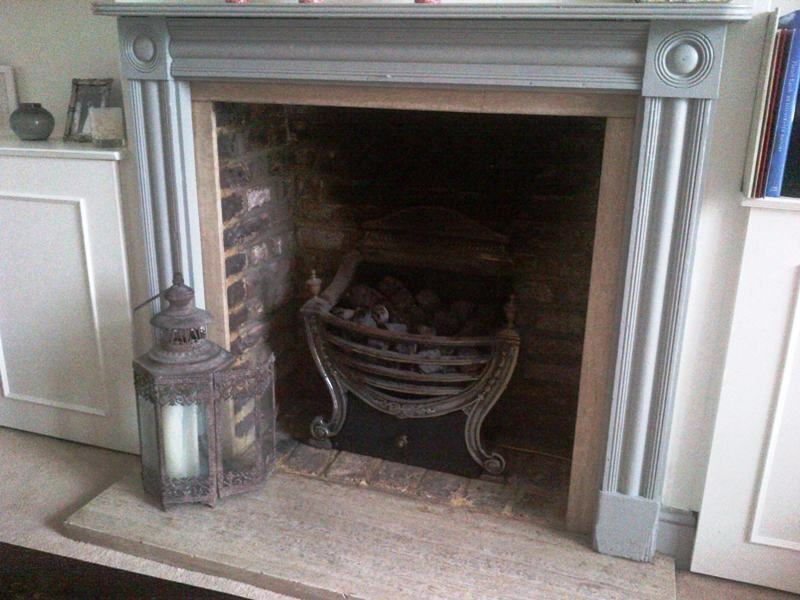 The brief was simple: to remove the existing gas fire which gave out very little heat and to replace it with an efficient little stove that will give out plenty of heat. 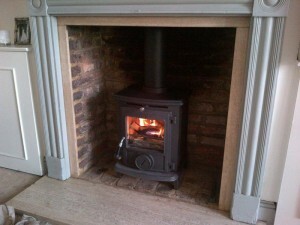 We showed the clients a selection of 5kw stoves. 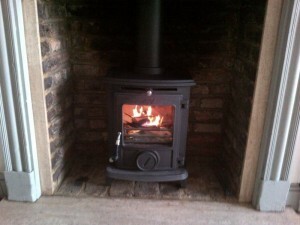 After some thought the clients chose the Aga Little Wenlock Classic. This stove from Aga is a Smoke Exempt Coal and Wood Burning Stove. Exactly what the clients need living in Kew. 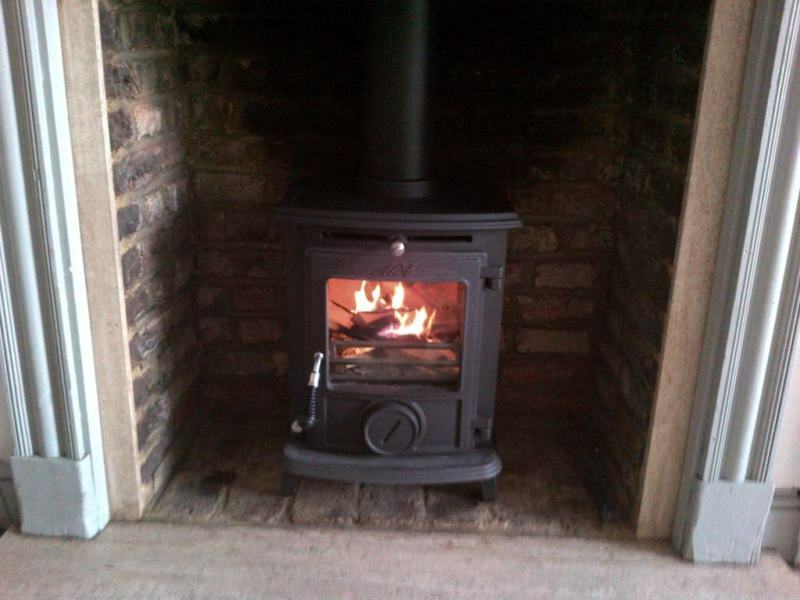 It is also one of the most popular stoves in the country. In order to complete the installation we had to organise a cherry picker to gain access to the top of the chimney. Finally, the installation was successful and the clients very pleased.